Chameleon Forums - Videos of wild veiled chameleons in Yemen, moving about in the trees unbothered by busy roadways. Chameleon Forums - Nice photos of some pretty veiled chameleons. Chameleon Forums - Users share lots of nice photos of their best looking veiled chameleons. 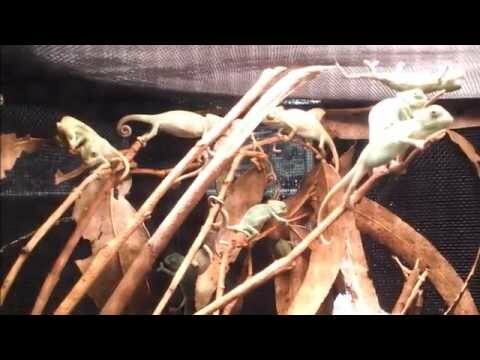 Chameleon Forums - A user hatches out 47 veiled chameleons and shares photos of the month old babies.